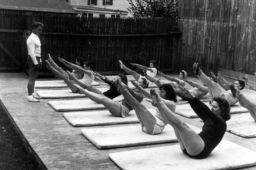 Learn all about how Pilates began and how it can help your body in all sorts of ways. Solo travellers love to come on a Healthy Options Holiday but don't just stake our word for it!!! 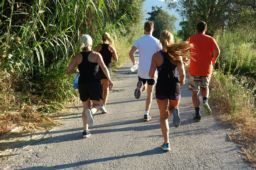 We would like to thank everyone for visitng Healthy Options in Vassiliki this season and we look forward to seeing you again next year for another fabulous season. Many of our clients have told us what a life changing experience it is going on one of the Healthy Options Herbal Walks. Aris who runs the Herbal Walks knows all there is to no about the local flora and fauna and ow it can be used for food and healing. The Healthy Options Team would like to thank all of those who joined us in Syvota this season and we hope to see you again next year. Is September a good time for a Healthy Options Holiday? 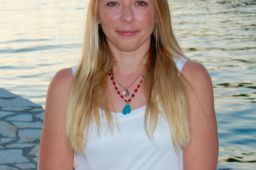 Find out all about 'Lexi's' experience and what makes here the besy choice to manage our centre in Syvota. There are lots of different Yoga/Active holidays available so what is it that sets our holidays apart? Our clients share with you what they love about our holidays. Many of them said how much they loved the flexibilty of our holidays and how they had the freedom to choose what they wanted to do! 08 juin 2018 What will I eat on my holiday? 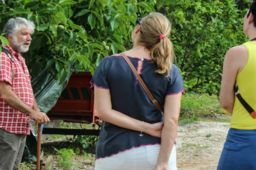 08 juin 2018 What you can expect on your Healthy Options holiday. 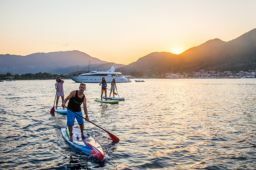 08 juin 2018 Yoga on a Stand Up Paddleboard? 22 avril 2018 Could a Healthy Options holiday actually make you younger? 22 avril 2018 What is so special about Healthy Options in Syvota? 22 avril 2018 Fall in love with Greece in May. 22 avril 2018 Am I too old… or too young for a Healthy Options Holiday? 06 mars 2018 If you would like to go on a Yoga/fitness holiday but your friend/partner/family are not so keen, we have a solution for you. 15 février 2017 New luxury accommodation option available in Vassiliki! 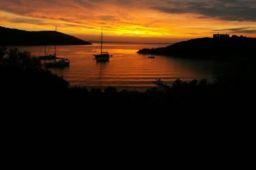 03 février 2017 Vassiliki or Syvota, which of our two Yoga holiday centres is best for you? 20 décembre 2016 Happy Birthday Joseph Pilates! 13 décembre 2016 Do you know your Mooladhara from your Bindu? 14 novembre 2016 Continue the holiday at home with these Greek recipes!